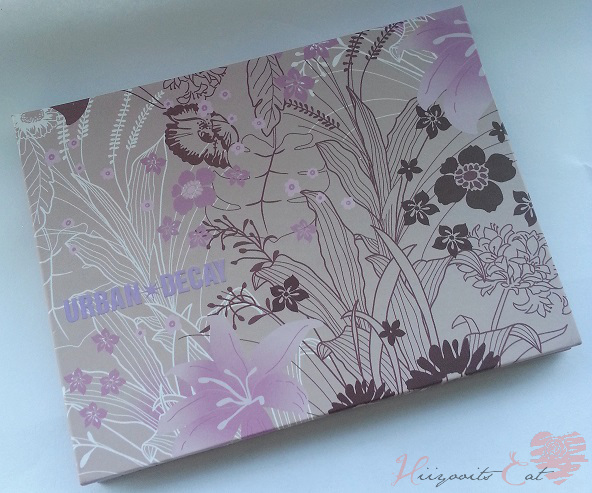 The Wallpaper Shadow Box by Urban Decay contains 9 gorgeous colors and are encased in a purple floral decorated palette. The packaging is made out of hard cardboard and flips up with a magnetic closure. It includes a small mirror on the lid and 2 duo ended sponge tip eyeshadow applicators. There are 0 matte shadows in this palette they are all shimmery and/or glittery. Most of the shadows seem to have a duo-tone feel to them, which is what makes them so unique and a fun palette to own. I am not sure if this shadowbox is discontinued since I cannot find it on any of the beauty websites but I have seen them at Nordstrom rack for $10-$12. I would recommend grabbing it if you don't have the other shadow boxes. From what I noticed with Urban Decay eyeshadow palettes is that most of the time the colors are very similar or they have the tendency to use the same shadows over and over just in different palettes. 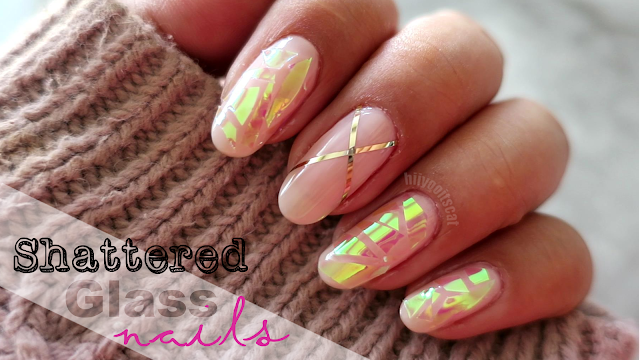 Grind: looks like a pale pink with an iridescent pink duo-chrome sheen to it and silver glitter with a frosty finish. Shotgun: looks to be a dusty rose with a frosty metallic finish. Last Call: looks to be a deep plum-cranberry with a metallic finish. Asphyxia: is a pink-purple toned eyeshadow with an iridescent blue sheen and a frosty finish. Uzi: is a light silver eyeshadow with silver glitter and has a frosty finish. Shattered: is a teal-blue eyeshadow with a gold sheen and a frosty finish. Smog: is a deep copper bronze with a frosty finish. Chopper: is a orange-copper with a metallic finish. Midnight Cowboy: it is a champagne pink with silver glitter with a frosty metallic finish. I gave this palette 4 hearts of approval because although I am currently loving matte shadows, I still love my frosts. I feel like frosts give the eyes great dimension and really make the eyes pop with its frosty-sheen finish. Some of the shadows do have a gritty texture to them due to the glitter that they contain. The shadows with the glitter in them do cause fallout but fortunately those shadows are on the lighter side of the palette. 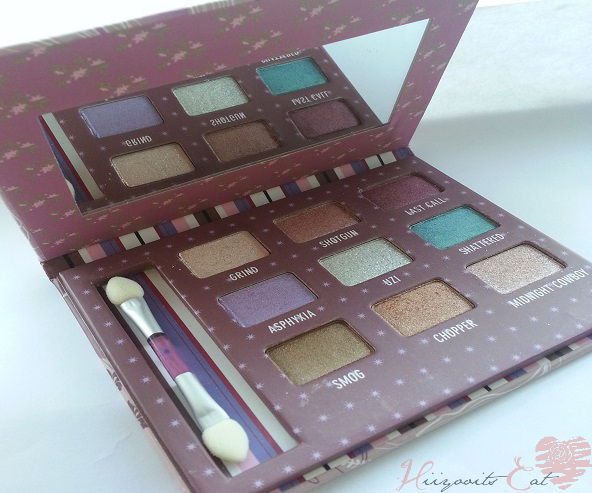 This isn't a must have palette but it is a nice palette to add to your collection if you want a colorful frosty palette. What are your thoughts? Which shadowbox palettes do you own? 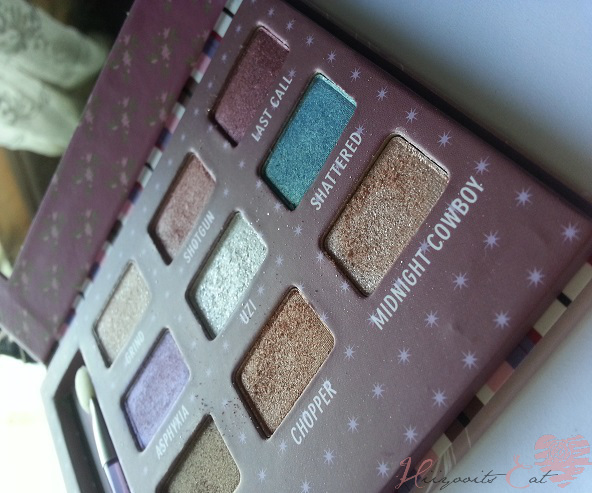 This palette is gorgeous. Nice swatches. thanks for following, Can't wait to read what your blog is about.